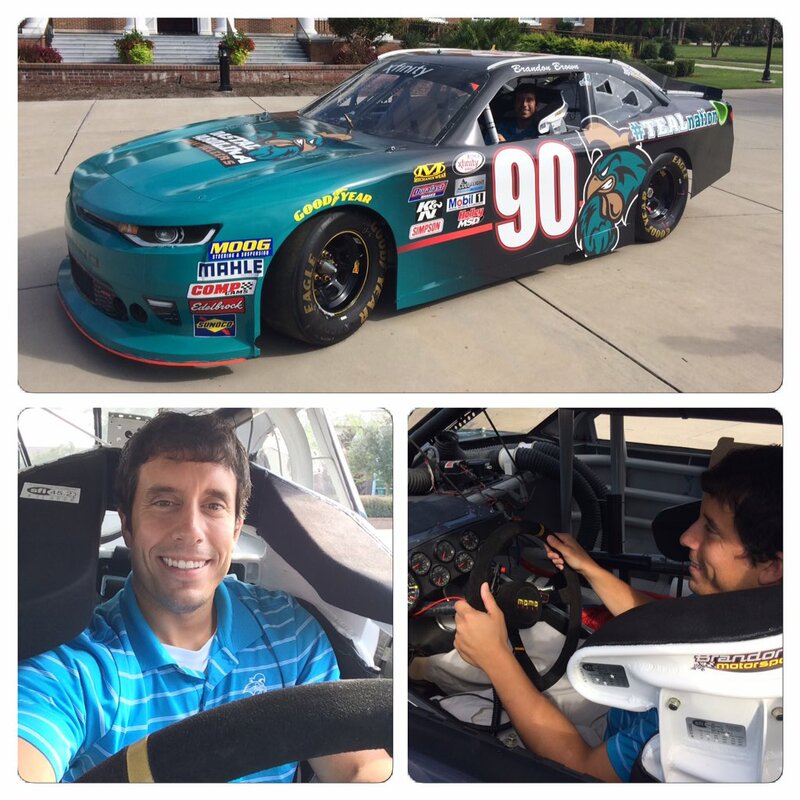 NASCAR Driver Brent Reser – For this first time in my life, I jumped inside a racecar this morning. Our University Communication team was doing a photo shoot featuring our NASCAR driver Brandon Brown and his #90 XFINITY car. With Brandon yet to arrive and the vehicle parked innocently right in front of our signature administrative building, I was encouraged to jump in. Believe me, I am not using “jump in” as a figure of speech. I awkwardly maneuvered inside the car and almost broke something clumsily exiting it. However, I got some pretty sweet photos and crossed an item off my bucket list. This was me inside Brandon Brown’s XFINITY car this morning. First FBS Football Game – Speaking of Coastal Carolina, our football team will play in its first game as a member of the FBS this Saturday. A major supporter of this move, I am stoked that CCU is now playing at the ultimate varsity level of college football. I will be on the sidelines for the historic game as I cover it for #CCUSocialMedia. 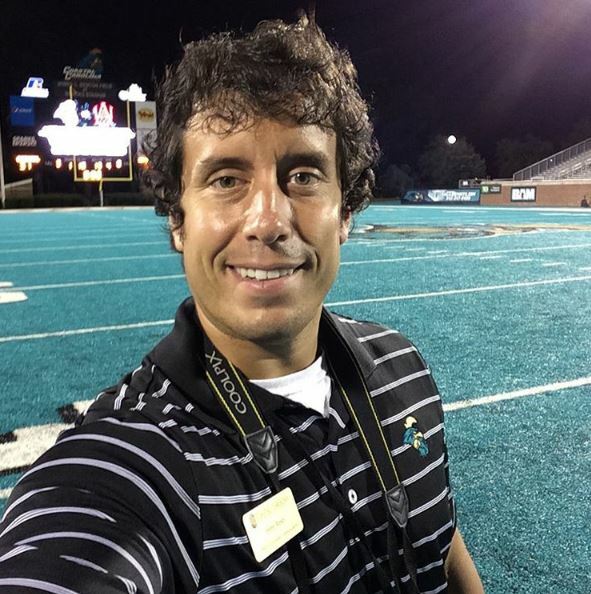 Me standing in Brooks Stadium on our teal turf after the September 26, 2015 game. On September 2, 2017, Coastal will play its first game as a member of the FBS. 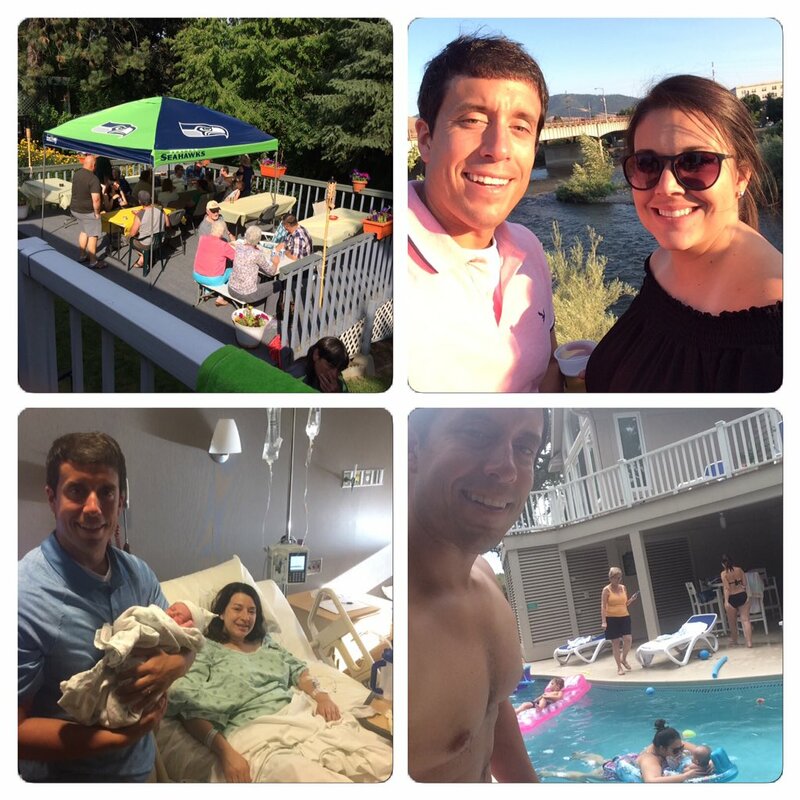 Weeks Keep Flying By for Sloan – Tomorrow, Sloan will turn 24 weeks. The biggest development this week? Ha, that’s easy! Her new thing is spitting. Yes, I am not kidding. She is constantly sticking her little tongue out and making a sweet (well, that’s debatable) spitting noise. Sometimes stuff (spit, carrots, rice cereal, etc) comes out and sometimes it doesn’t. Other than that, her hair continues to grow and her smiles still come in an abundant supply. Seriously lacking on the quality of photos this week…sorry guys! Awful Concert – Seven years ago today, I attended one of the worst concert of my life. 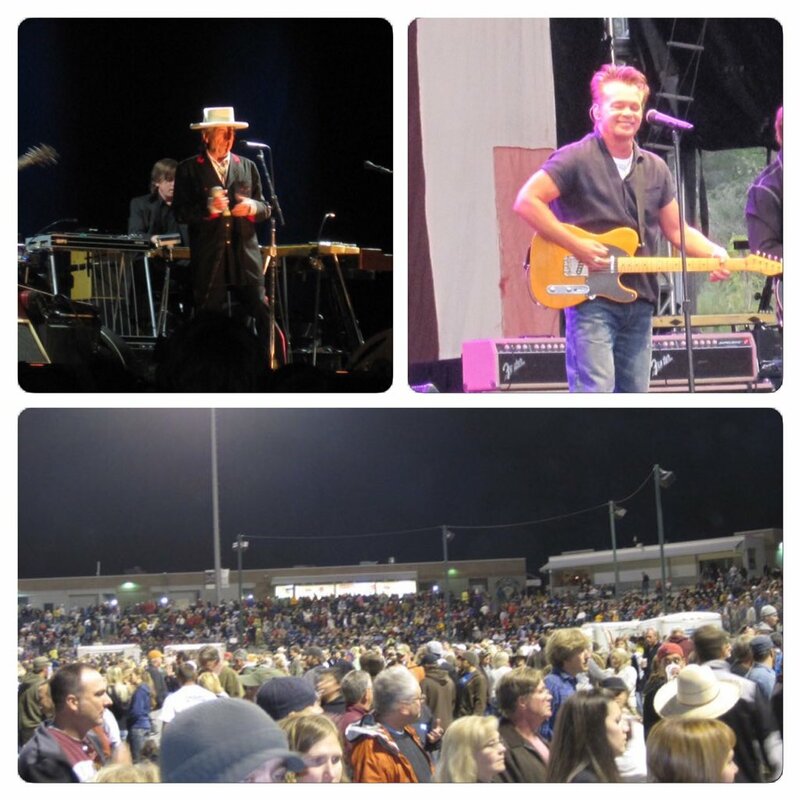 On Aug. 31, 2010, I watched Bob Dylan and John Mellencamp perform on a pleasant Missoula night in a minor league baseball stadium. Although the weather and venue proved satisfactory, I just didn’t find either performer that energetic or engaging. The sound was suspect and I found myself bored. Can’t win them all. I took these photos of a lackluster concert. Bob Dylan and John Mellencamp just didn’t do it for me. Latest Big Brother Reaction– Although I know some people don’t feel the same way, I am a fan of Big Brother 19. Pretty much everything has shaken out exactly how I want it to. From the beginning, I wanted to see Christmas and Kevin do well and currently both are still in the house and will be safe at least through the week. However, the house guest I am rooting for the most is Paul. To watch him lose in such an unfair way last season was tough and I want to see him earn redemption. I think all of us can take our hats off to how he has played the game thus far. Even with the huge target on his back from the moment he entered the house, he has not only survived but thrived. Paul is the ultimate puppet master and I am getting a kick watching him pull all the strings. I really hope he makes it the distance. Organize a cookout, bust out the cold drinks, and have a wonderful Labor Day weekend. Thank you for your constant support of my blog. Don’t Blink. Growing up I didn’t battle asthma or pneumonia. I didn’t suffer long bouts of illness nor stay in the hospital for an extended period. I never broke a bone and I never came down with anything that puzzled doctors. As a kid, I just had one minor inconvenience: canker sores. Unfortunately for me, I still have them as an adult. Obviously, if you had to choose any ailment to be plagued with, a canker sore problem is probably the way to go. They don’t stay around too long, they aren’t contagious, and they don’t force you to miss school or work. However, that doesn’t mean they aren’t incredibly annoying. Canker sores cause discomfort in your mouth. I get them on my tongue and around the inside of my cheek. To the naked eye they only look like a tiny white speck but they pack a punch! I call them annoying because you always know when you have one. Just sitting here on my couch right now I am cursing the current sore I have on the tip of my tongue. They are bothersome. It just isn’t an irritation when you eat or drink, the sting of a canker sore is constantly there. I forget about whatever current sore I have when I go to bed only to be reminded the minute I wake up. When it comes to canker sore remedies, I still do the hack my parents advised me to do growing up: gargle with Listerine. It is just like putting salt on a wound. It stings like heck at first but then provides relief. However, that relief doesn’t take long to dissipate. I want to go beyond Listerine. Tonight, I am asking for your canker sore remedies. Yes, I understand that I can look at a million different ones by searching Google. However, I have always found that the advice I receive from my readers and social media audience is always more specific and helpful than what I find on the internet. Are you in the Canker Sore Club with me? If so, you have my sympathy. You also have my ear because I want to hear what you do to make your mouth more comfortable. Don’t Blink. Yesterday, a true legend of college basketball passed away. Jud Heathcote, a national champion coach, died at 90. The basketball world is currently in mourning. Before Coach Heathcote turned the Michigan State program into a basketball powerhouse and before he coached Magic Johnson, he actually was the head men’s coach at the University of Montana from 1971-76. With that context, let me tell my story. 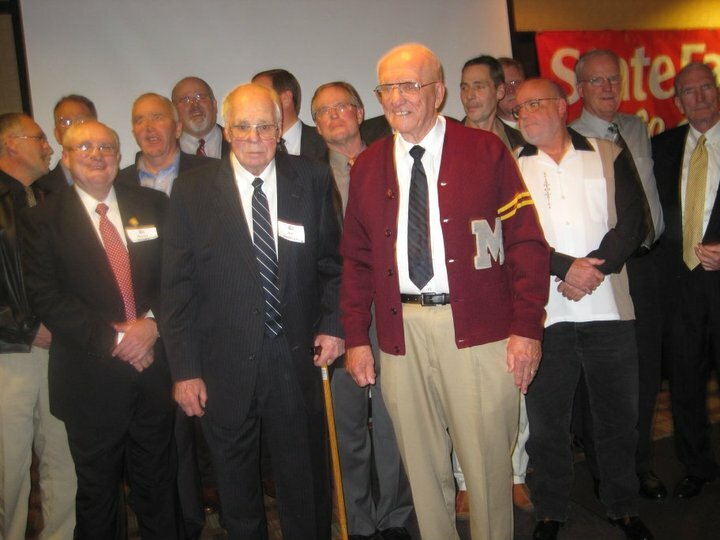 I snapped this very crooked photo of Coach Jud Heathcote (with cane) in front of his 1974-75 Montana basketball team at the 2010 Grizzly Hall of Fame induction banquet. To Jud’s left is Ed Anderson, another inductee of the ’10 class. I had the pleasure of organizing the event. One of the first big tasks in my professional career came seven years ago. At the time I was the assistant marketing director in the athletic department at Montana. During the early summer of 2010, I was asked to organize that year’s Grizzly Hall of Fame induction banquet. In order to make this come to frution, I had to complete tasks such as choosing a venue, selecting the meal, coordinating audio/visual equipment, securing hotel rooms, and of course corresponding with the inductees. Who were the inductees, you might ask? In 2010, we enshrined both an athlete and a team. The athlete was a man named Ed Anderson, a former three-sport Griz star who dominated the Skyline Conference in the 1950s. The team was the 1974-75 Griz basketball squad that advanced to the Sweet 16 of the NCAA tournament, narrowly losing to basketball giant UCLA for the right to play in the Elite 8. The head coach of Montana was no other than Jud Heathcote. I corresponded with the players, mostly through mail and phone, to get as many of them as possible to Missoula for the banquet. A couple members of the team proved especially helpful to me, doing all they could to reach out to guys I didn’t have contact info for and putting the pressure on the ones who were on the fence about making the commitment. Of course, the big question mark was whether Jud Heathcote would attend. Living in Spokane and 83 years old at the time, it wasn’t a sure thing that he would be able to make it. Whenever I would talk to a player or assistant coach on the team via phone, they would all ask me the same thing: Is Jud coming? That question was answered one day when I received a phone call. Me: Grizzly Marketing, this is Brent. Voice: This is Jud Heathcote. I was on the phone with Coach Heathcote! He didn’t have someone else RSVP for him, he decided to call me directly. He confirmed that he would attend the banquet and then went down the entire roster asking me if each player would be attending. He was to the point and brief. The night of the banquet I was incredibly nervous. The event would be attended by donors, athletic department administrators, community big shots, and current Grizzly Hall of Fame members, not to mention the people we were celebrating that night, the 2010 class. Would my organization skills and attention to detail pay off? Or would I embarrass myself? Throughout the evening, the pieces fell into place. Venue, food, equipment, crowd, etc., all proved satisfactory. With most of my personal questions now answered, there was a prevailing BIG question that everyone at the ceremony was asking themselves: Would Coach Heathcote speak? Some thought he might leave it to an assistant coach or player to address the large crowd that had turned out, but the celebrated leader himself took the podium. 1. He was gracious – Coach Heathcote spent a considerable amount of time praising his fellow inductee, Ed Anderson. He was not about to let Mr. Anderson’s amazing accomplishments become overshadowed by himself or his team. 2. He was funny – With a sense of humor drier than the Sahara Desert, Coach Heathcote slipped in jokes and references that had the place howling. 3. He was sharp – Using uncanny precision, Coach Heathcote remembered seemingly everything from his Montana days: games, statistics, plays, etc. It was incredible to hear him recount so many details from 40 years ago. After the ceremony, I can’t even remember if I shook his hand or not. However, I did get to greet him prior to his entrance into the banquet hall. With that said, I didn’t get an autograph, selfie, or intimate conversation with the coaching legend. But it wasn’t that important to me. I had our phone call and I had the memory of his speech. I send my condolences to the Heathcote family and I hope Jud rests in peace. Don’t Blink. Earlier this month, I was sweating it out in the afternoon South Carolina sun. 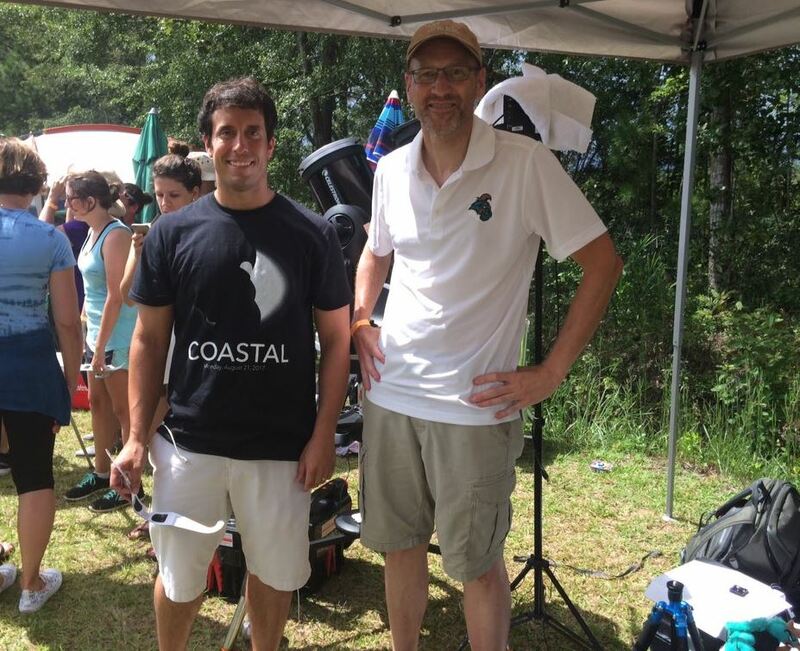 I was helping new students at Coastal Carolina University move into the residence halls on campus. Students and their families would pull up to the curb and I would help unload their refrigerators, fixtures, clothes, etc., into carts. I would then push the carts into the residence hall building I was assigned, drop them off to a fellow volunteer who was working the elevator, and then I would run up the stairs to whatever floor the particular student was living on. I would arrive on the floor a moment before the elevator doors opened, at which time I would transport the carts to the student’s room. I took a moment to stop and give a big warm smile to both the mom and her little baby boy before getting back to my work. Before I had Sloan, this never would have happened. 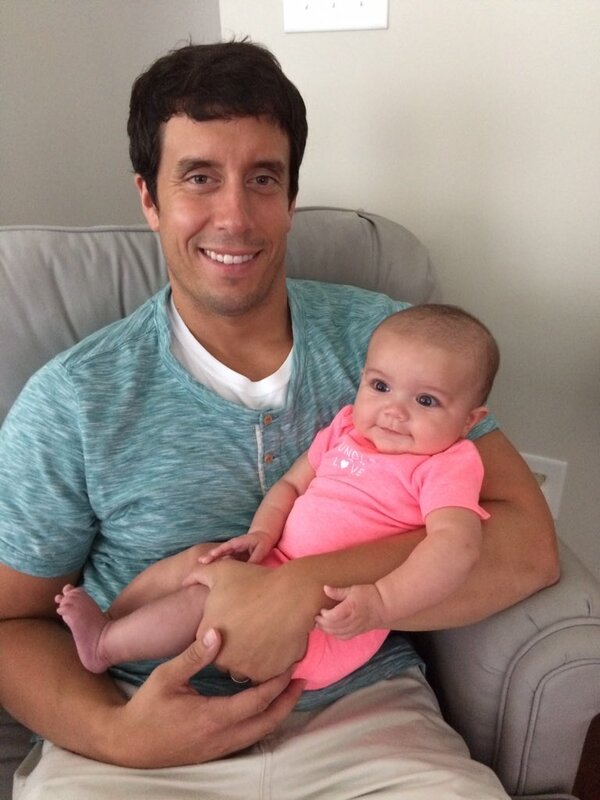 It took Sloan for me to develop my soft spot for babies. Although I have always thought babies were cute, I wasn’t necessarily a “baby person.” If I came across a newborn, I didn’t feel the need to “ooh” and “aww.” I wouldn’t be the person to outstretch my arms to hold one, I most likely wouldn’t offer to babysit, and I wouldn’t feel anything tugging at my heart. It took me holding Sloan that first time to be completely transformed. Ever since then, I have understood the innocence and meekness of a baby. I am now familiar with the long road it takes for a new human being to enter the world. I know all too well the pride a parent feels for his new daughter/son. So, it might come as little surprise that I do a little better job recognizing both babies and their parents when we cross paths in public. Usually it is more than just a pause and smile. If I don’t have to worry about grabbing the entire contents of a young adult, I will briefly chat with the parents. What a beautiful baby you have! How old is she? What is her name? If I am not in close range of the young family, I will still smile to myself. This past weekend at church, there was a baby girl sitting with her parents several pews away from Sidney and I. I couldn’t help but discuss with Sid how old we thought the little girl was and how she was making similar noises to that of Sloan. God bless the people who have a soft spot for babies even before having one of their own. I feel bad that I didn’t feel a special fondness for little ones before we were given Sloan but I am grateful that my heart isn’t as hard anymore. Don’t Blink. Call it a coincidence or call it me just not paying attention until we had Sloan, but ever since we gave birth to our daughter it sure seems like everyone else on my social media feeds are having (or recently had) babies too! It is great. I love watching the progress of all these cute little ones who light up my Facebook and Instagram feeds. Because I know that I receive a large portion of my blog traffic from my social media audience, and because I want to write about topics that my readers can relate to, I do feel it is my duty to write about babies, especially my daughter, every now and then. This afternoon is another one of those times. As a parent of a newborn, we of course spend a lot of time changing, feeding, rocking, and loving on our babies. But in between all that important stuff, there is plenty of downtime (although sometimes it might not seem like it) to bond and sooth your baby. 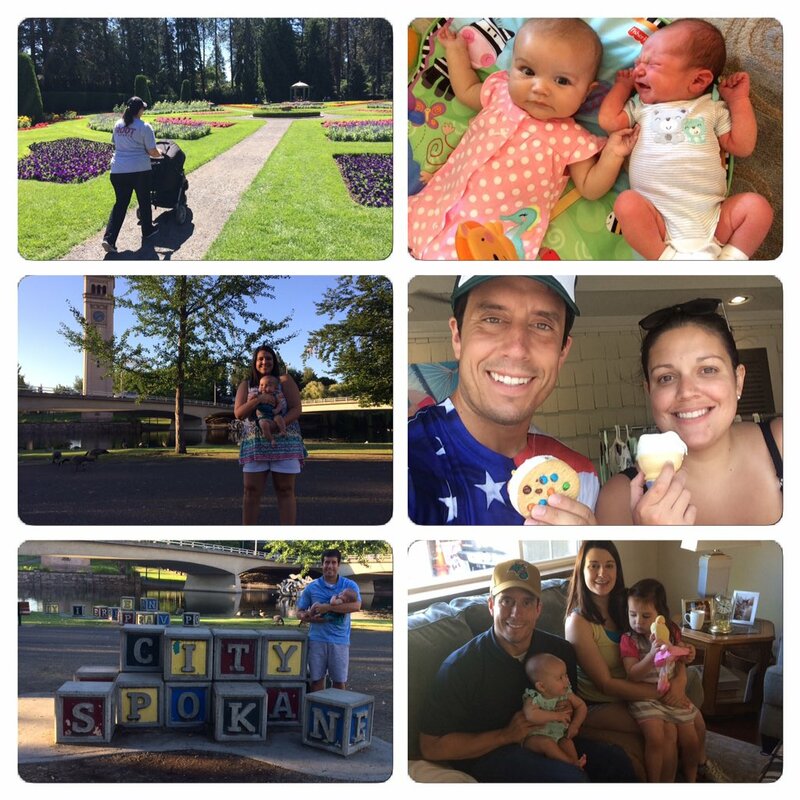 For today’s Sunday blog post, I want to highlight ten of the things I do with Sloan when we aren’t in the middle of “the essentials.” Now believe me, I am not re-inventing the wheel here. Many of these are tried and true parenting techniques. But perhaps in your introduction to the hectic world of parenting, you might have overlooked one. In no order, here are several ideas to pass the time with your baby boy or baby girl. This afternoon I give you my best baby hacks. Make Baby Laugh – It is almost a game for Sidney and I. We will lay Sloan down on her back on our bed and see who can make her laugh first. She is always usually really calm when her little body is sprawled out in the middle of our bed, allowing us to be as goofy as we want with her. The reward for succeeding, an excited shriek of laughter, is the best. Reading – Most of you know I am a big proponent of this. Since the last time I wrote about how we enjoy reading to Sloan, our library has grown considerably. Sloan’s appetite for having a book read to her has grown as well. 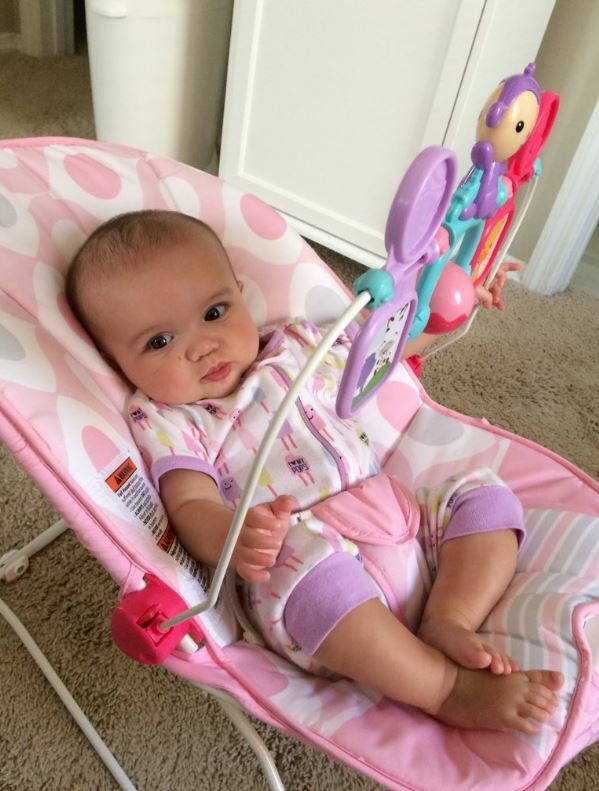 Not only a great way to relax your baby, it will help develop their little brains as well. Look in the Mirror – This one is straight out of Sidney’s playbook. My wife, since day one, has taken Sloan to our mirror in our living room and declared, “Who is that pretty baby?” I think by now Sloan knows it is her but the excitement is still there. Go for a Walk – I used to have a perfect track record of taking Sloan for walks with fantastic results. However, after a small crying episode in the stroller yesterday, I am at about 98%. Nonetheless, taking your baby for a walk in the neighborhood is a way to relax him/her, gain some exercise, relieve some stress, and meet the neighbors. It is the perfect way to pass the time while also giving your spouse a break. Belting It Out – Your baby knows and loves your voice. Amplify your soothing vocal cords by singing to your little one. I know Sidney probably hates hearing my off-pitched renditions of nursery rhymes and church hymns but every now and then they help Sloan fall asleep. Walk It Out Indoors – Is it dark out or otherwise unfeasible to take your baby for a walk outdoors? Just stroll around your house. This is one of my main hacks I use with Sloan. When she is fussy, she usually won’t allow us to sit down, or, for that matter, just stand up stationary. But, if I hold her and do laps around the living room and kitchen she will become much more content. PLAY! – This is one of the greatest joys of being a parent of a newborn! Nothing beats getting on your hands and knees and playing with your baby. Introduce toys, play peek-a-boo, or shake the animals/shapes dangling from whatever play space she is hanging out at. You can get extremely creative and the bonding opportunities are endless. 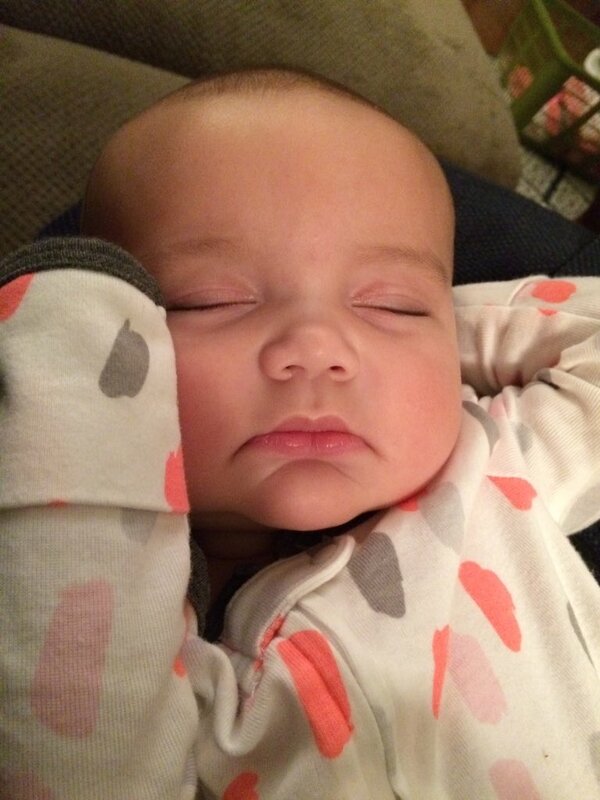 Pray – No matter how upset or preoccupied Sloan might be, she always settles down for prayer time. Just like the peace that falls over her when we take her to church, she is usually a little angel when we say our prayers. You can’t go wrong introducing your baby to his/her Savior early on. TV…With Limits – Sid and I have already found out that Sloan LOVES television. She will gaze at it intently, no matter what is on. So, with this is mind, we are trying to cut back on the time she is in front of the screen while offering educational programming during the time she is. Our cable lineup offers some great baby stations that we rely on for quality shows that teach Sloan basics such as colors, animals, and shapes. Lap Time – Never underestimate all that can be done with your baby while he/she is on your lap. Although Sloan prefers to be loved while we are standing up, there are plenty of times when she is sweet and content sitting with us. When it comes to what babies enjoy while sitting on your lap, I imagine it differs for each individual. With Sloan alone she has evolved with her preferences over the past few months. Currently, she likes to stand on my lap looking directly at me and also she enjoys sitting down on my left lap while looking away from me to her left. You just have to experiment to see what works. There you have it, my baby hacks! I want all my new (and seasoned) moms and dads to give me their favorite tricks as well. I hope everyone has a wonderful Sunday with their babies. Don’t Blink. 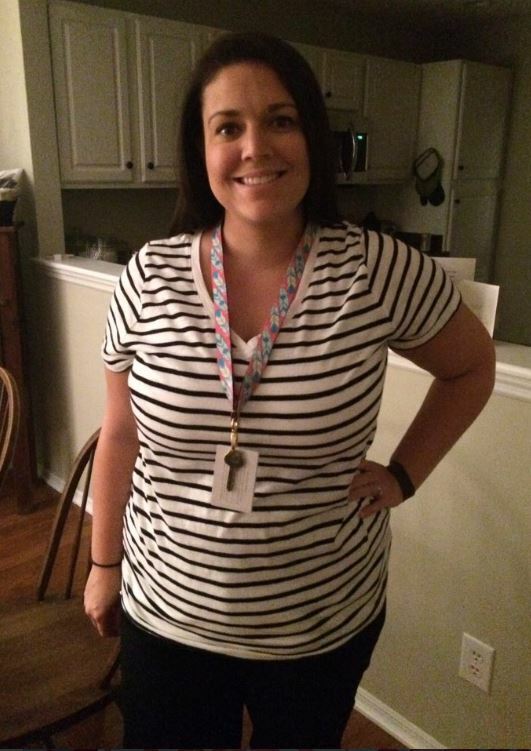 Sidney Back At School – Mrs. Reser started her fourth year at Palmetto Bays School yesterday. Understandably so, she was pretty exhausted when she returned home after the first day. This year she has 11 boys and five girls. The testosterone imbalance will make for what Sid calls a “busy” class with plenty of movement. I am excited to see how Sid’s 2017-18 group will grow and develop under her guidance. This was Sidney at her open house this past Monday. After returning from McClellanville I stopped by and saw her classroom. Fast Food Movie – This week I watched a movie on Netflix about McDonalds. 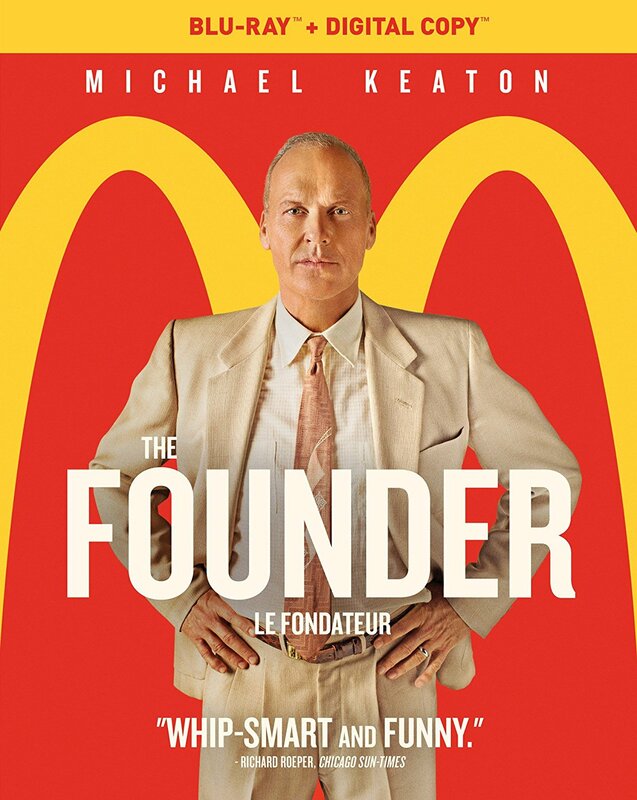 Titled “The Founder,” it told the story of how Ray Kroc targeted a small burger stand in California called McDonalds and transformed it into a multi-billion dollar company. As someone who has written about McDonalds a few times (here, here, and here) I found the film interesting. I think most of my readers will too but I definitely think it is more of a rainy day type movie. Michael Keaton stars as Kroc, a man who wasn’t afraid to stab people in the back. I watched “The Founder” this week. I enjoyed the film. 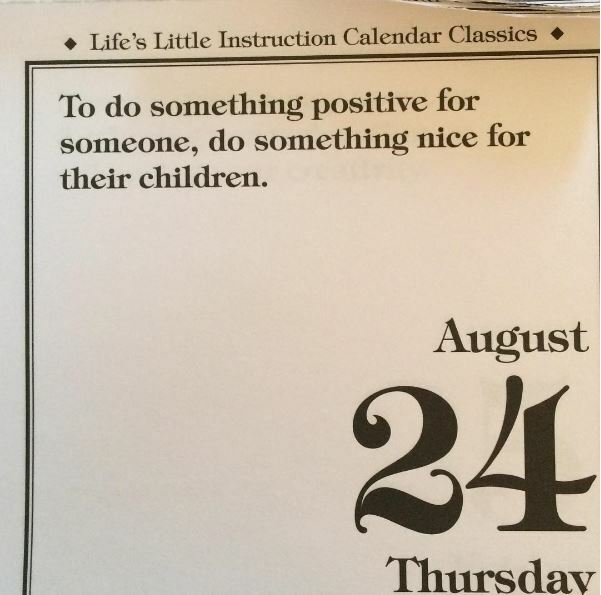 Right On The Money – Every now and then I share some wisdom from my Life’s Little Instructions calendar. In another epiphany since becoming a parent, today’s advice rings especially true. When someone goes out of their way to do something nice for Sloan, it really is an act that makes me so appreciative. I will look at the person who did it and just think to myself, man, that person has so much thoughtfulness. It is a great reminder to me as well to think more about the sons and daughters of my friends. I totally get this advice. Too Much? 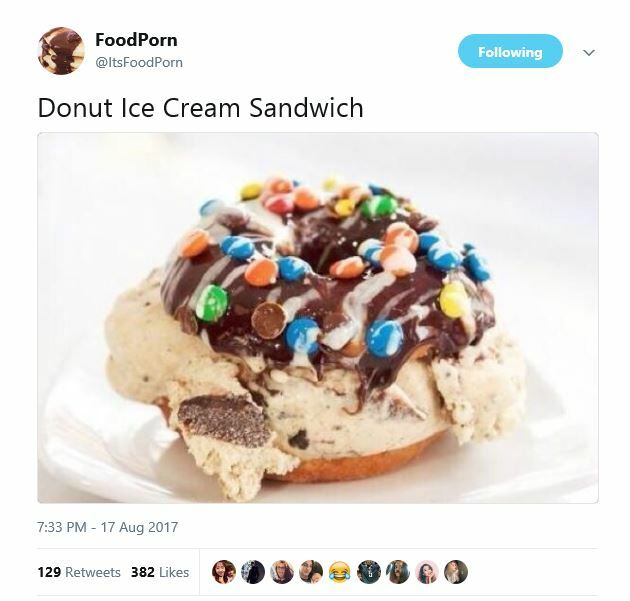 – The latest “dish” I want to share from the @ItsFoodPorn Twitter account might be pushing it a bit. Although I have created my own outlandish recipies in the past and although I love cookie ice cream sandwiches, I don’t know about the donut ice cream sandwich. I think the layer of M&Ms just really pushed it over the top. Perhaps if simple glazed donuts were used as opposed to chocolate donuts I would be a little more prone to approve it. Instead, this is just too much. This just takes everything a little too far. 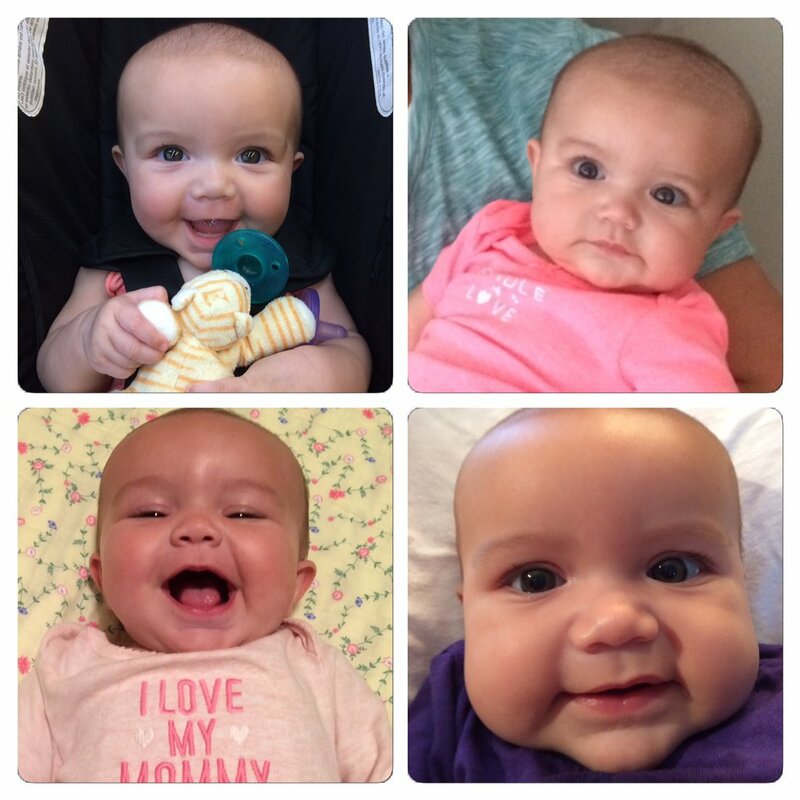 Latest On Sloan – Aside from dealing with a cold and battling a fever, Sloan is still an extrememly happy girl. She is starting to laugh and sometimes her chuckle will contain a high pitched shriek of glee that is so cute. We have started introducing baby food as she sure enjoys carrots. I felt bad for her last night as a major storm rolled in around midnight that woke her up, scared her, and sent her into a crying fit. She will turn 23 weeks tomorrow. Below is the latest photo collage. 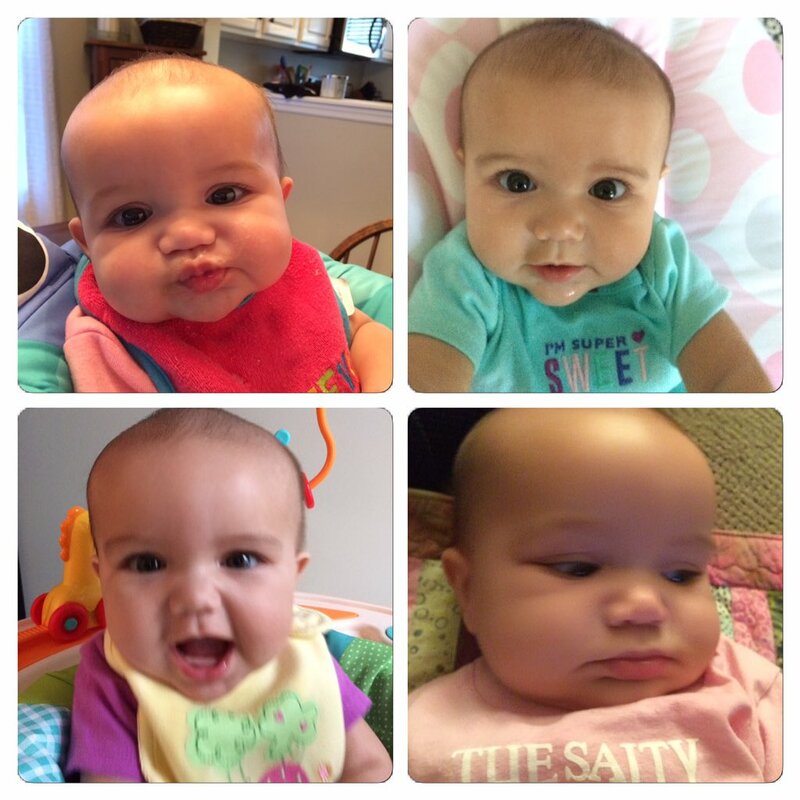 This is the latest Sloan photo collage. Time to wrap up another Thursday Rundown. Hope all is going well for the many people I know who returned to the classroom this week, either as a teacher or student. Enjoy your well-deserved weekend! Don’t Blink. Today, I was introduced to another parental rite of passage: Staying at home with a sick kid. Sloan has had a bit of a rough start at her new day care. As is the case with many babies, it is challenging to enter a children’s center and go unscathed the first few weeks. After contracting a cold late last week, Sloan came down with a fever yesterday. The law stipulates that once a child registers a fever, she can’t return until she is fever-free for at least 24 hours. Because of a fever she contracted, I stayed home with Sloan today. With the first day of school today for the Horry County School District, Sidney was welcoming her new class of 2nd graders. It made 100% sense for me to stay with Sloan and my employer thought so too, giving me every blessing to work from home. Before Sidney went off to school this morning, I snapped this photo of her. 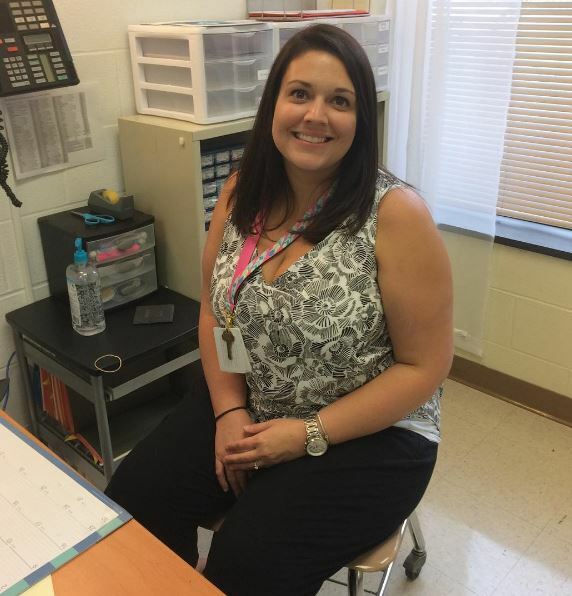 Have a great year, Mrs. Reser! It is always a weird feeling when I am at home on a work day. Whether it be because of a weather event, vacation, or my own illness, I feel detached from campus and my co-workers. I feel like I am slacking. I feel guilty. However, today I didn’t feel the guilt. It definitely felt a little bizarre and out of place staying home with just Sloan but I didn’t have an uneasy sensation inside of me. It all kind of goes right back to the blog post I wrote in late March about how my perspective on life has changed. I value work immensely but when it comes to my daughter it ultimately, in the grand scheme of things, is insignificant. Sloan depends on her parents for her well-being and we will do all we can to provide the care she needs. Sloan was kind enough to watch me do a little work today. It was a smooth day. Sloan had shaken her fever off before the morning even arrived. In between feedings, changings, naps, and, of course, playing, I was able to get most of the work finished that I needed to. It was a Wednesday of father-daughter bonding that I really enjoyed. Thanks to CCU for being so accommodating and thank you God for wiping out Sloan’s fever. Don’t Blink. Yesterday, the Great American Eclipse swept across the country. Out of the millions of Americans who saw it, only a small percentage can claim that they saw the phenomenon in complete totality. I will always remember Aug. 21, 2017, and not just for the eclipse itself. Several contributing factors made yesterday especially memorable for me. A photo Bill took of me in Conway moments before we headed off to McClellansville. Early Monday morning, a few of us staffers from Coastal Carolina University drove south to a tiny South Carolina town called McClellanville (population 500). Our small team was comprised of our vice president of University Communication, Bill, one of our videographers, Alexandra, and myself. 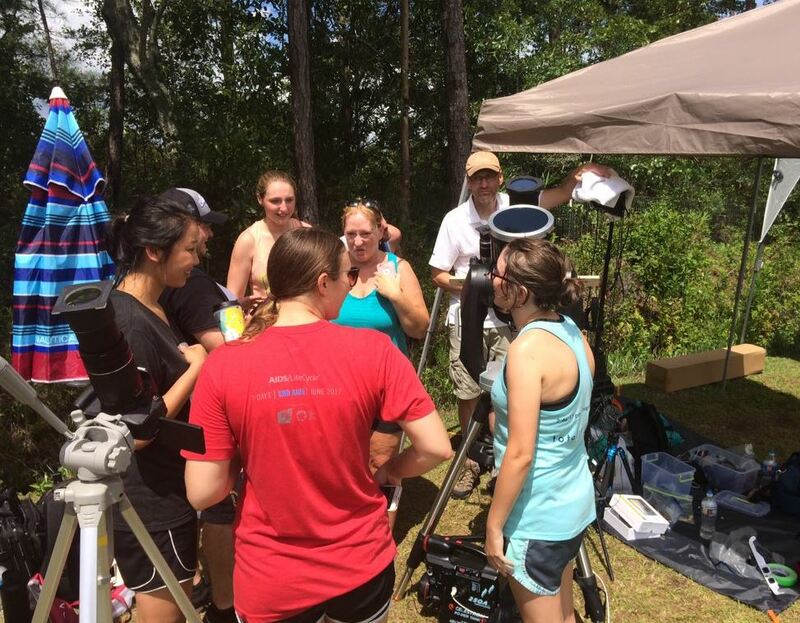 McClellanville was in the path of complete totality and it was also one of the very last places the eclipse would pass over. However, we weren’t taking an 80-mile joy ride on the worst travel day of the decade just so we could see totality. Rather, there was another draw. 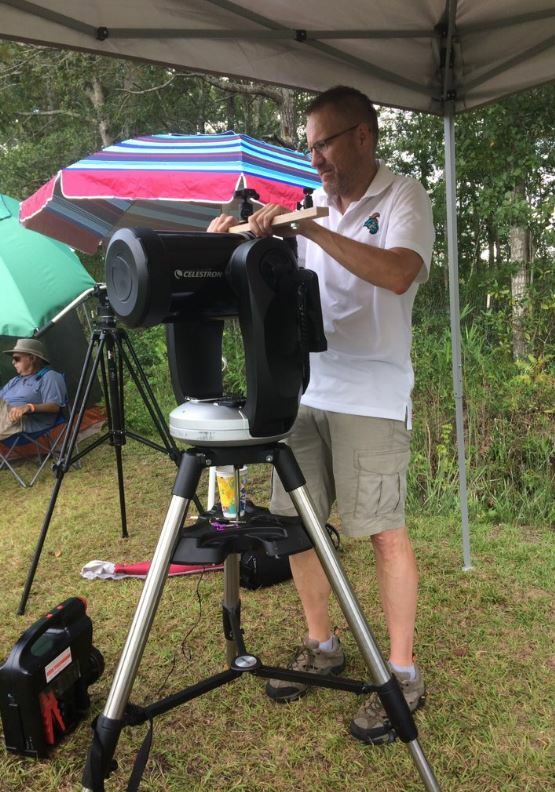 One of our physics professors, Louis Keiner, was observing and photographing the Great American Eclipse in McClellanville. 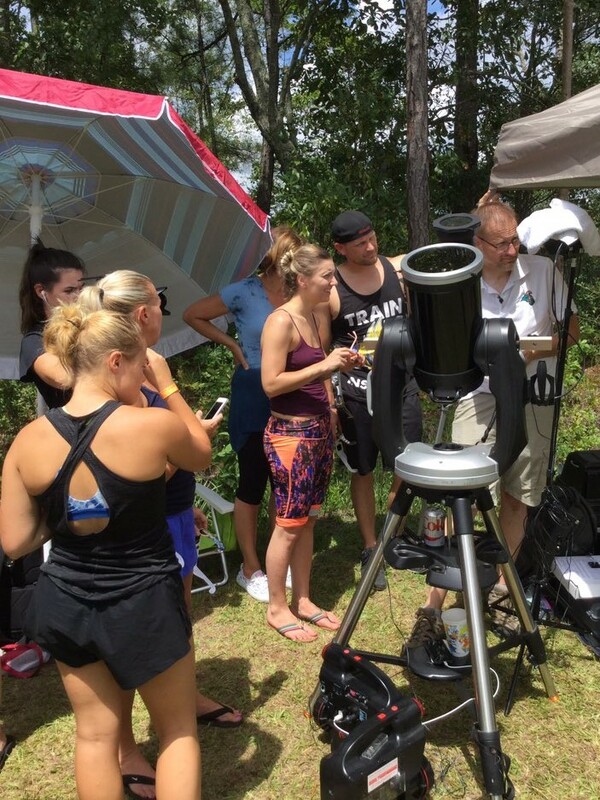 Throughout the weeks leading up to the eclipse, our University had depended on Louis for his expertise as “eclipse mania” engulfed our campus and community. 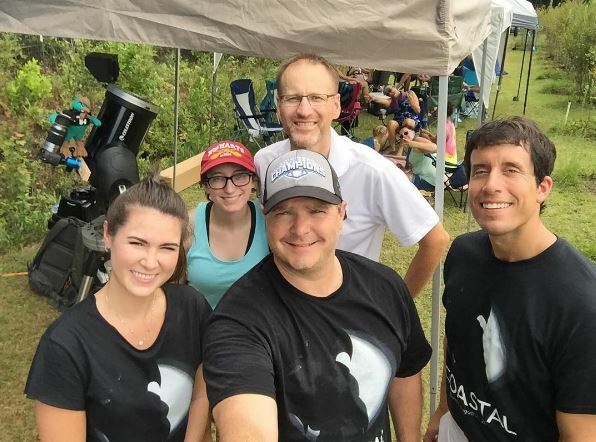 Bill used his selfie stick to take a photo of our “Coastal Crew.” Alexandra is on the left, Emma is wearing the red hat, Louis Keiner is in the back, Bill is up front, and I am on the right. On Monday, he set up camp at Blue Pearl Farms, a small area right outside of McClellanville known for its blueberries, honey, and prime location to view a certain spectacular event that only comes around so often. Louis had graciously allowed us to shadow him so we could provide social media coverage of his observations and produce a video chronicling the day from his vantage point. We arrived at the farm and quickly met up with Louis and his daughter, Emma. The father and daughter had camped out the night before and had a spot among all the other campers. Once we got settled, we noticed one thing (besides Louis’ gigantic telescope): clouds. It was an overcast morning and we were all aware that a cloudy sky could block out totality. But Louis told us to hold out hope, noting the area we live in is notorious for quickly changing weather patterns. Trying not to stress over what we couldn’t control, we started focusing on the job we were there to do. We documented Louis setting up his equipment. An extremely talented photographer, he set up and synched multiple cameras on top of his telescope. This is a photo I snapped of Louis Keiner setting up his equipment. With his gear in place, Alexandra mic’d up Louis and he started to give us fascinating updates every 30 minutes or so. I conducted a Facebook Live interview with him while also live tweeting his updates to our #CCUSocialMedia Twitter audience. Bill assisted the two of us while also setting up an additional camera to hopefully capture totality. Emma, myself, Alexandra, and Louis ALL preparing for the big event. It was hot and humid. We couldn’t stop sweating. But the slight discomfort and the hovering clouds couldn’t dampen the spirit at the farm. You see, the place was filled with eclipse-junkies. The people who had traveled to McClellanville were so excited for the chance to be part of something special and couldn’t care less about the conditions. This spirit oozed from Louis and was reflected in everyone else there. The eclipse fever was contagious and the three of us felt it too. Goofy photo of myself looking up at the sky (thanks for taking this, Bill!). As we did our work shadowing Louis, we had to “fight” for access. Numerous people kept approaching Louis asking questions. But please note I put the word fight in quotation marks because it wasn’t a matter of contention for us at all. These people were hungry for knowledge and Louis was more than happy to feed it in a humble and easy-to-understand manner. People kept coming up. The equipment obviously made us stick out like a sore thumb but word also quickly spread throughout the farm that a tall, gentle scientist was happily sharing his expertise. Watching how excited these folks were to have the opportunity to talk with such a kind and intelligent professor was inspirational. The fact this man happened to be a faculty member at the college I work at made me very proud to be a Chanticleer. People, both young and old, approached Louis throughout the day with questions. The eclipse started and we initially battled cloud cover. Despite the conditions in the sky, Louis was taking incredible photos of the moon beginning to cover the sun. This drew even more people over to our area. Then, with totality about to set in, the remarkable happened: the clouds parted and we had an unobstructed view of one of the craziest sights you will ever see. Another photo of a different group of people chatting with Louis. On the verge of totality, everything started to slow down. You could feel it. Our surroundings became dark and quiet. I ripped off my eclipse glasses. Gazing up in wonderment I heard a voice behind me. I had only seen photographs of totality. In my opinion, seeing it with the naked eye was way different. 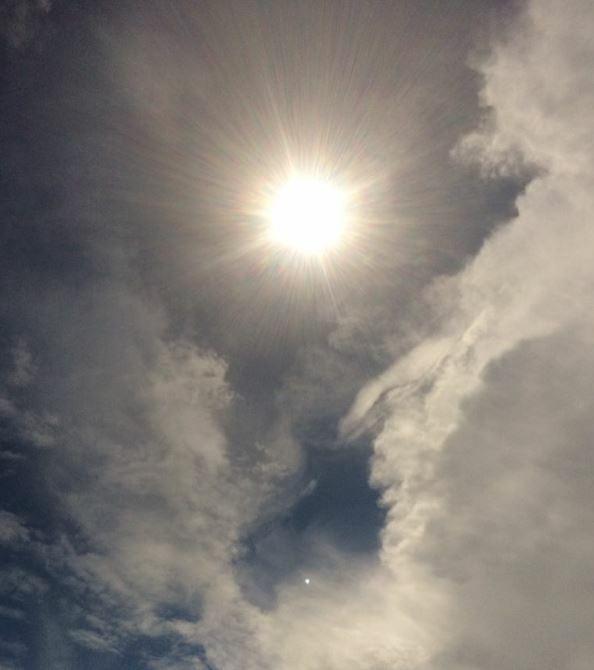 The sun had turned white and the corona looked much more like an actual crown than it did in pictures. I had a very mysterious feeling inside of me. People were literally gasping. Those 150 seconds went quick. Then came the light. For what it is worth, I thought the sky going from night to day was more spectacular and uplifting than it going from light to dark. As normalcy was restored, applause erupted from inside Blue Pearl Farms. My amateur photo of the sun post-totality. Alexandra immediately sought reaction from Louis. The guy was on Cloud Nine. It was so cool to observe someone almost speechless after seeing one of the signature events in his field. He mentioned that he had to look away from his camera and marvel at the eclipse, a sight he had never seen (in totality) until yesterday. 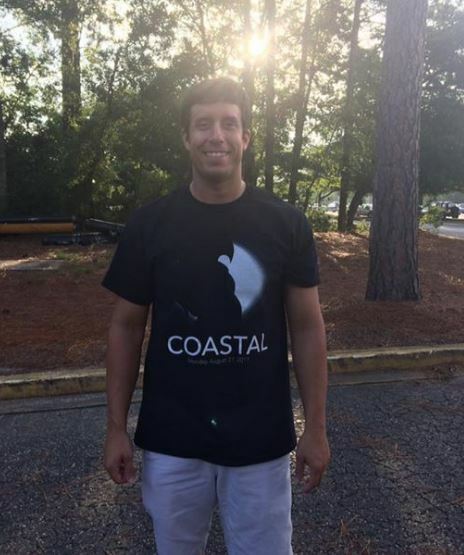 After stating that he couldn’t have asked for a better show, he made it a point to say that he was proud to represent Coastal Carolina University. It was a pleasure to observe and take in the expertise of Louis Keiner. Yes, the eclipse itself was awesome. But it was also special to cover something of such magnitude with people from my office. Bill, Alexandra, and I had a great time together and worked hard. It was also extremely gratifying to see Louis Keiner in his element. 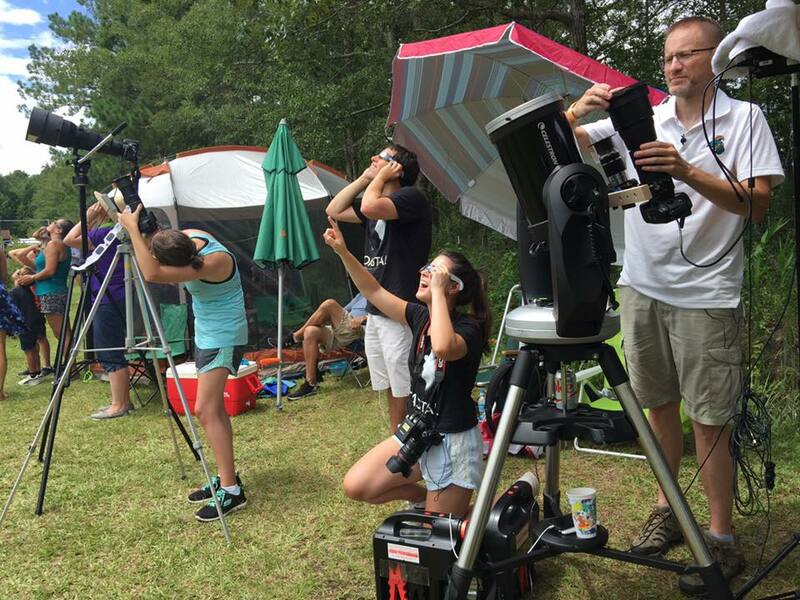 The Great American Eclipse was almost like his Super Bowl or his Christmas. To watch him excitedly help others and then for the sky to part so he could observe totality made me feel really happy for him. Simply put, I left that farm feeling fulfilled. I am thankful I had the opportunity to make the journey to McClellanville. Don’t Blink. After tonight, the summer will pretty much officially end for Sidney and I (and Sloan). Classes start tomorrow at Coastal Carolina University and the first day of school for the Horry County School District is on Wednesday. However, the transition won’t be as tough as you might think. Since August 1, I have worked hard to gear up for the start of the academic year. Last week was busy for me as we welcomed our new students to campus. Besides just covering the activities, I also helped with the Chanticrew, our volunteer-based group that helps freshmen move into the residence halls. If you are familiar with August afternoons in South Carolina you probably know that it was a sweaty job. Sidney started reporting to work two weeks ago and participated in meetings all last week. She spent this Saturday putting the finishing touches on her classroom. Tomorrow night she will hold her open house and then on Wednesday it will be show time. And Sloan? Well, she has already started at day care. She has adjusted well and is a favorite of the staff. So while we have already come to grips with the fact that the “party is over” it is still a bit sad to officially say goodbye to the sweet summer. But if there is one cliché that applies right now it is don’t cry because it is over, smile because it happened. We kicked off our summer with a bang. June was awesome. Sid and I attended the Country Music Festival as I got to see one of my bucket list artists, Kenny Chesney. We got to celebrate a couple of “firsts”: our wedding anniversary and my inaugural Father’s Day. We were paid a visit by my brother and mom as they traveled to Myrtle Beach for a fantastic weekend. We played at Dave & Buster’s for the first time. 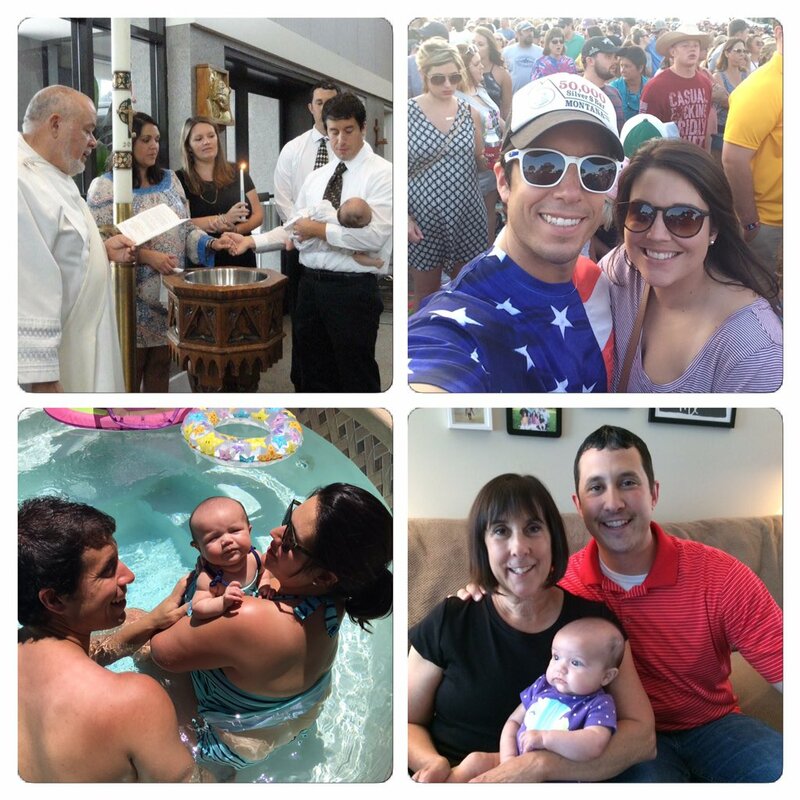 Most important of all, the month was capped off with Sloan’s baptism. Some of the images from June of 2017. July was even busier. We hosted a Fourth of July Eve gathering at our house. We celebrated the actual holiday by shooting off fireworks with our niece and nephew. We flew across the country and spent two incredible weeks with my family. We attended my parents’ joint 60th birthday party. We welcomed our nephew, John, as he was born on July 17. Sidney and I visited Missoula and enjoyed one of the town’s signature long summer nights. Back on the east coast, we had a very relaxing time as we vacationed with Sidney’s family in Hilton Head. Some of the images from our very special July. Although August has been a transitional month, it has had some summer magic as well. 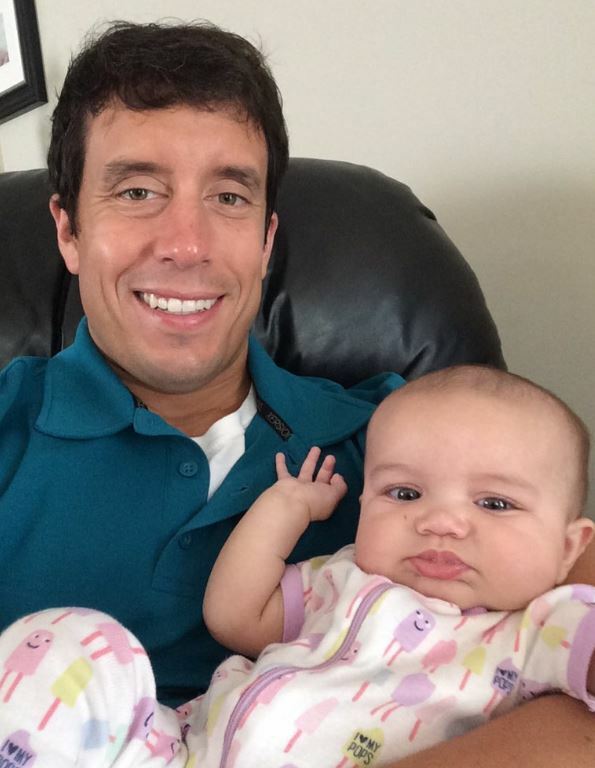 Although I returned from Hilton Head on July 31, Sid and Sloan stayed through August 5. We watched plenty of our favorite summer show, “Big Brother.” Sid and I went on a date night where we had the opportunity to watch a movie in the theater for the first time in over six months. We watched as Sloan continued to grow and thrive. Some random images from the summer of 2017. Now it is time to look forward to cooler days, less congested roads, college football (even though Sidney hates it), fun fall activities, and the milestones that will undoubtedly come for Sloan. And, to be honest, summer hasn’t completely disappeared just yet. Labor Day is right around the corner. But aside from that upcoming weekend, we can say this: Summer 2017 was a blast. Don’t Blink. Spitting Image of My Dad – To commemorate my parents’ 36th anniversary yesterday, I posted a couple photos across my social media accounts of my mom and dad on their wedding day. I received several responses telling me that I look just like my dad when he was my age. I like to think my dad was (I mean is) a pretty handsome guy so I take it as a compliment. How about you? Do you see a resemblance? Do you think I look like my dad? 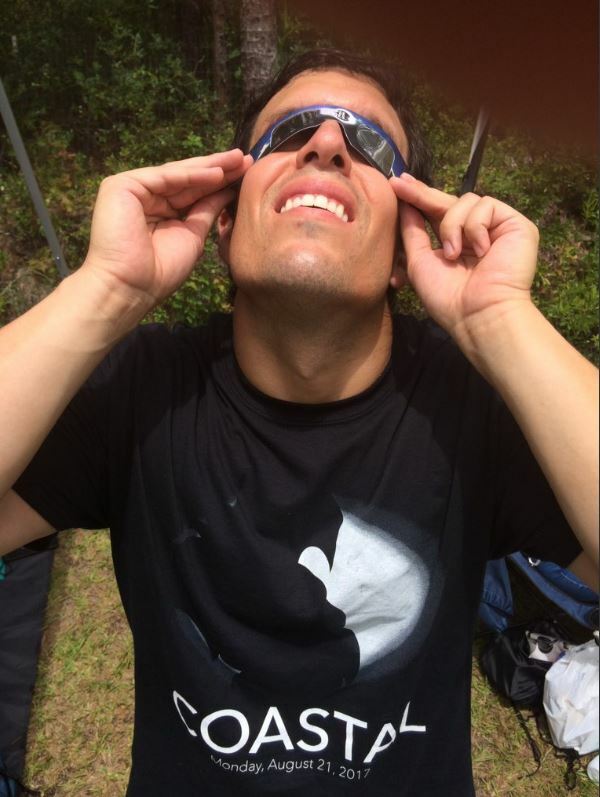 Eclipse Perspective – Earlier this week, I wrote about the challenge of adequately stating the significance of the upcoming total solar eclipse. Thanks to a co-worker, I now know exactly what to say…or at least I know what link to send. This video really helped put the magnificence of the Great American Eclipse into perspective. If you have two minutes, watch this to really understand the opportunity we have to enjoy on Aug. 21. Girls Trip – Going to the movies used to be a favorite pastime for Sidney and I. However, things change when you have a kid. On Friday night, we went to the theater together for the first time in well over 6 months. The feature presentation? Girls Trip. Although it was 100% Sidney’s choice and although I was more excited for the popcorn than the movie, I must say it wasn’t that bad. I laughed quite a bit and really enjoyed relaxing in the theater recliners with my wife. Sidney tweeted about the long duration of time it had been since she last saw a movie in the theater. Oreo Stuffed Cookies – Every now and then I need to feature a treat from my favorite Twitter account. 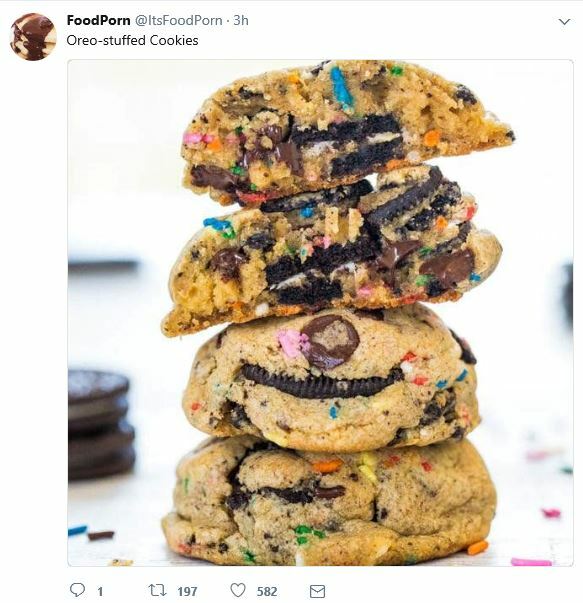 These Oreo-stuffed cookies came from the @ItsFoodPorn account. I think they would be worth a try. I think a soft, homemade chocolate chip cookie would taste great baked around a crunchy Oreo. It would be a win-win for both taste and texture. Who has a glass of milk?! I would eat these up like a maniac. 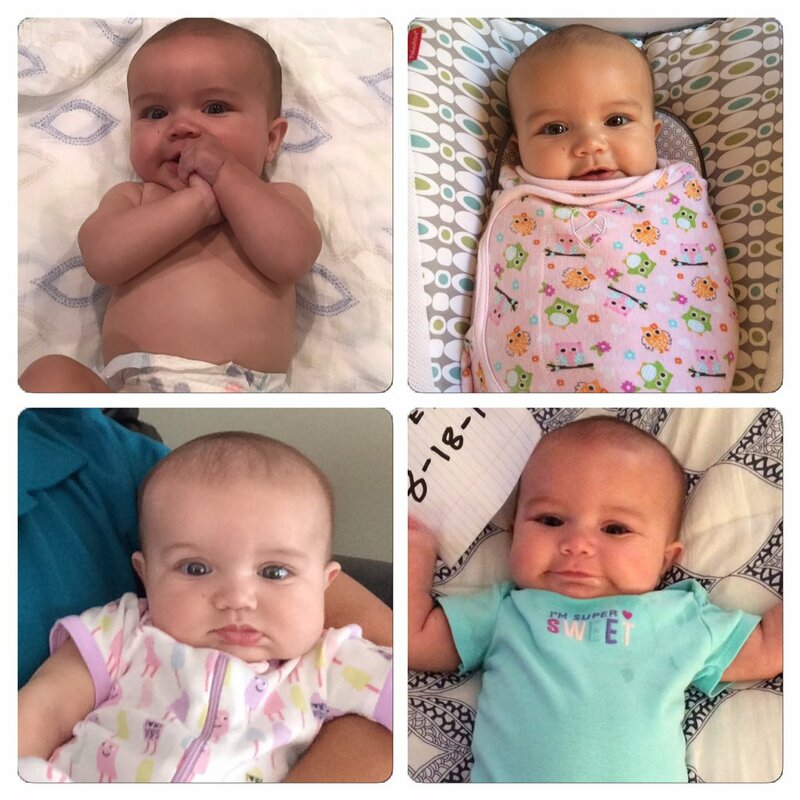 Sloan Collage for 8/17 – Today Sloan turned 5 months old! Time flies. She is now eating baby food carrots and tips the scale at 14 pounds! She had a great appointment at the doctor’s office this week and is sleeping soundly in her crib in her own room. It is hard not to smile when you see this face. Here is the latest Sloan collage. My readers are the best! Thanks for tolerating another Thursday Rundown and I hope you have a great weekend. Time now to go cover an eclipse event on the CCU campus! Don’t Blink.